It is not an easy task to find the best fashionable designer clothing for baby boys. Mothers really have to visit so many stores and browse through the restricted and limited collection up for sale in order to find something exclusive and impressive to dress their infants in a fashionable manner. Well it is tougher than it sounds because the options and choices are so limited. 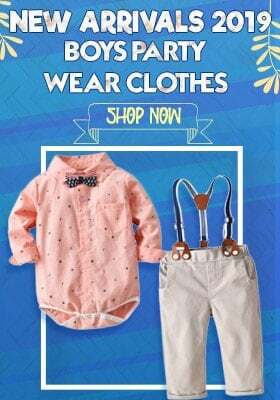 With the advent of online stores, mothers find it so easy to buy newborn baby formal suits, infant rompers and boys formal wear clothing, party wear dresses for kids of all age groups. 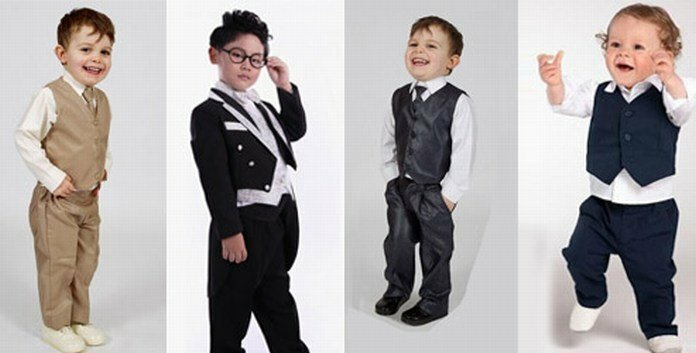 Now they don’t have to waste their time travelling from one store to another looking for baby boy romper suits for weddings, baby boy tuxedo romper, toddler baby formal suits and various styles of formal attires as far as young toddler boys are concerned. 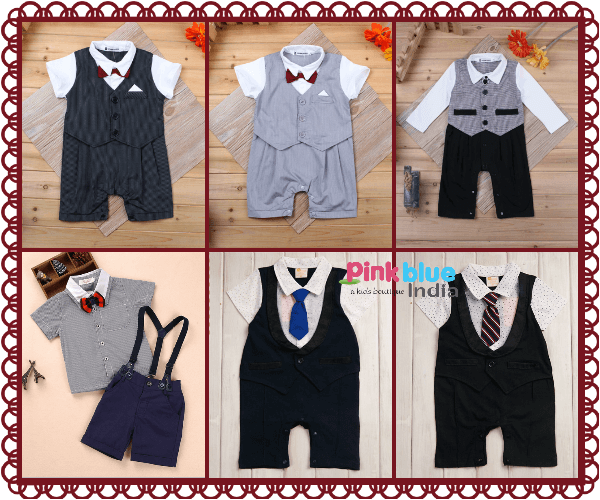 These amazing online stores exhibit enthralling range of formal designer dresses like baby boy romper suits, baby formal birthday suits and boys occasion wear set etc. that come in different styles and patterns specific to the latest trends in the world of fashion so that you can dress your prince in the most stylish way. Baby boy rompers are one of the most amazing dresses for young kids. 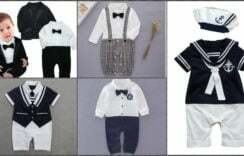 These smart baby boy onesies romper suits and are ideal purchases for weddings, birthday parties and special occasions. They come in elegant shades of blacks, whites and grays for a perfect gentleman style and elegance. They majorly come in patterns of stripes, checks and plain colors to make your young kid look like a perfect gentleman. 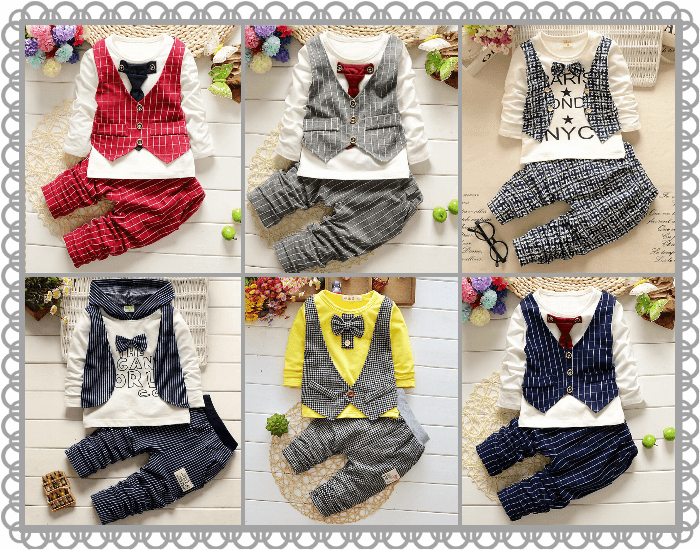 You can always shop for fashionable toddler boys formal suits which are a combination of formal trousers, shirts, coat or jacket with a bow or tie. This is surely the most decent and smartest partywear clothing for your kid. 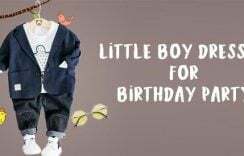 You can dress him up in this designer attire for all sorts of birthday parties and weddings to ensure that he looks the most stunning child in the gathering. 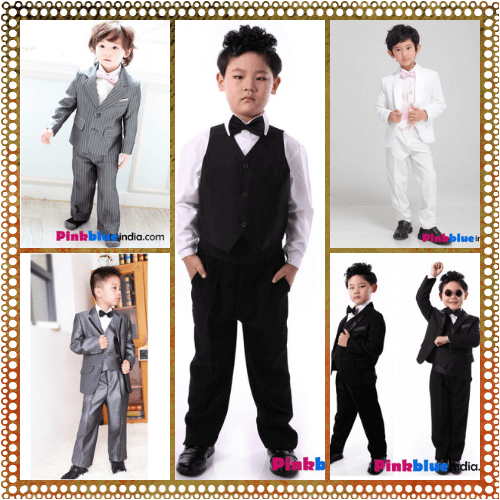 Another very sober and formal clothing for baby boys is a 5 piece tuxedo wedding suit set which comes with complementing pair of trousers, shirt, bow tie and jacket along with a tuxedo. 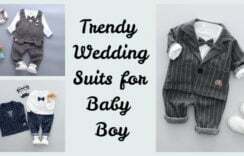 This is perfect kids wedding attire for your little prince which will add more grace and charm to his dressing style. This is a wonderful party dress for all kinds of wedding parties and gatherings. They come in soothing and elegant shades of white, grey, black and blue. So if you are still confused about what to shop for your little hero then stop worrying and start shopping from some of the amazing styles that have been mentioned above. Give your cute newborn baby a perfect look with these elegant and handsome dresses which are a must pick for every infant.